With the goal of highlighting the value of blockchain beyond payments and digital currency, the Consensus 2018 Building Blocks Hackathon challenged teams of developers to tap into the robust programming capabilities of technologies to build applications with use cases in industries ranging from capital markets trading, food supply chain, digital rights management, new peer-to-peer insurance models, and the internet of things. Participants were able to build on top of any blockchain protocol including Bitcoin, Ethereum, Hyperledger etc. The process of establishing a data trail of the food from farm-to-warehouse-to-market-to-retailer is very manual and incentivizes dishonest behavior. There is no effective way of trustlessly knowing if food is coming from the place that retailers say it is. 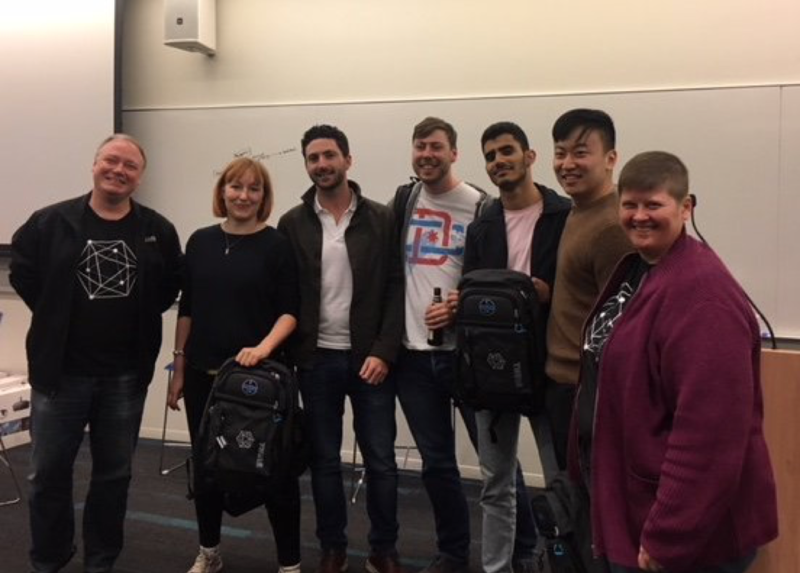 The team behind LocalTrail, Rachel Black, Paco Garcia, Saif Abu Hashish, Piers Powlesland and Kevin Kim took on the challenge of providing transparency in the food and dairy supply chain. 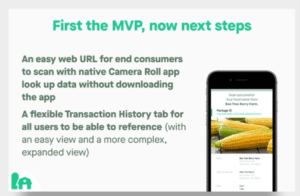 They’re aim was to make it possible to track the provenance of groceries and meals, as they reach the consumers’ plate. 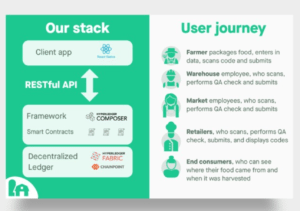 The end result was Localtrail, a community-first, transparent blockchain solution that tracks produce from farm to supply center to the end user, bringing accountability and trust to the farm-to-fork social movement. The users of the Localtrail application include farmers, who grow the food, package it, and enter data; warehouse employees, who scan, perform QA check and ship to a market; market employees, who scan and perform QA check and sell to retailers; retailers, who scan and perform QA check, and serve food to end consumers; and the end consumers, who view the data from the process. Congrats to the Localtrail team for creating an application that showed the power blockchain can provide within the food supply chain by improving transparency and trackability. We’re excited to see where they take this application. You can get the Localtrail code at https://github.com/piersy/LocalTrailHyperledgerComposer and https://github.com/rachelyoti/food-app-front-end. You can also plug into the Hyperledger community at github, Rocket.Chat the wiki or our mailing list. As always, you can keep up with what’s new with Hyperledger on Twitter or email us with any questions: info@hyperledger.org.